As a parent, you are the greatest influence in the lives of your children, and even though they don’t always show it, your attention means everything to them. 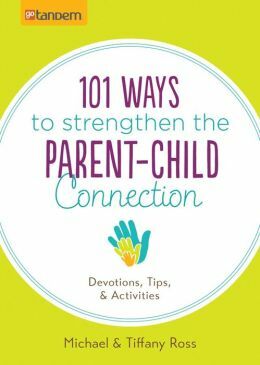 This fast, fun resource is jam-packed with 101 creative ways to help you connect with your kids. . .and nurture their spiritual growth. These must-read pages are like three books in one: a daily devotional, a family activity guide, and a parent-child communication primer. Age-appropriate object lessons and discussion starters bring to life Bible verses about the character of God—enabling you to seize Proverbs 22:6 and train up your kids.